Capitol Hill Corner is not sure what to say about this attention-grabbing mural near Eastern Market on the side of Quavaro Leather Goods near Eastern Market, other than it’s a work in progress. The piece was designed and executed by Marilyn Calza, creative designer for the eight restaurants owned by Ari Gejdenson, founder and president of the Mindful Restaurant Group. Quavaro is at 323 7th Street, SE. Crime – Significant crime events on or near Capitol Hill last week included two homicides, a carjacking with a five year old child aboard, and robbery of a drug store. On Tuesday, a man was killed by gunfire in the 1300 block of D Street, NE. Last night (Saturday), a man was killed by gunfire across the street from the Arthur Capper Senior Public Housing at 9th and D, Southwest. The widely-reported carjacking with a child aboard occurred Friday as a mother was dropping off her child at Watkins School. (See here: https://wapo.st/2S80p3N) The CVS at 12th and Pennsylvania was held up on Friday the 12th. What wasn’t widely reported was the unprovoked random assault about 5:00pm Saturday, October 13, in the crosswalk at the 8th and Pennsylvania Starbucks crosswalk, when a man cold-cocked a pedestrian, knocking him down and breaking his glasses as he passed by – after which the assailant sauntered off to the Barracks Row 7-11 where he was later arrested by police. PCP may have been a factor in the crime. The 7-11, by the way, was the also under-reported scene of a 7:30am stabbing on October 9. Eastern Market Metro Plaza – At long last, it looks like things are starting to move regarding the stalled Phase 1 (the playground) of the redevelopment of Eastern Market Metro Plaza. An advisory committee comprised of “stakeholders” is scheduled to hold a meeting this week at a time and place uncertain. One of the stakeholders is the Eastern Market Community Advisory Committee represented by Chair Donna Scheeder, who has scheduled an update on the meeting at EMCAC’s monthly meeting Wednesday night (see below). 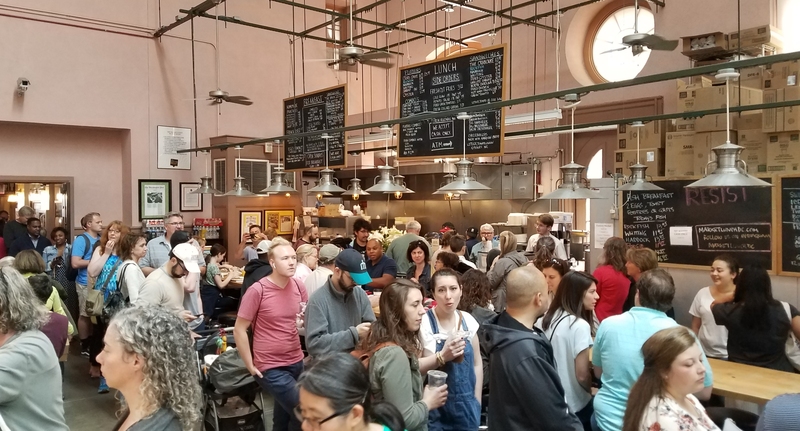 Silverman – In other news, some 90 people attended last Monday’s meet and greet for Elissa Silverman, current incumbent and independent candidate for one of the city council member at large seats. Among those attending were DC Attorney General Karl Racine and Councilmember Charles Allen. Ken Jarboe and Martha Huizenga & Matt Wade were co-hosts for the event which was sponsored by Barbara & Jim Loots, Nancy Broers & Chuck Burger, and Monte Edwards. Mayor Bowser has endorsed candidate Dionne Reeder who is running for the independent seat (one of the two member at large seats is reserved for a member not of the party controlling the council). Democratic incumbent Anita Bonds appears to be favored to win the other seat. ANC6D Commissioner and attorney Denise Rucker Krepp addresses sexual assault in college at 6:30pm at East City Bookshop, 645 Pennsylvania Avenue, SE. Eastern Market Community Advisory Committee meets at 7:00pm, North Hall of Eastern Market, 225 7th Street, SE. The Week Ahead… and, so, what ‘s the problem with that axe throwing bar in SW? 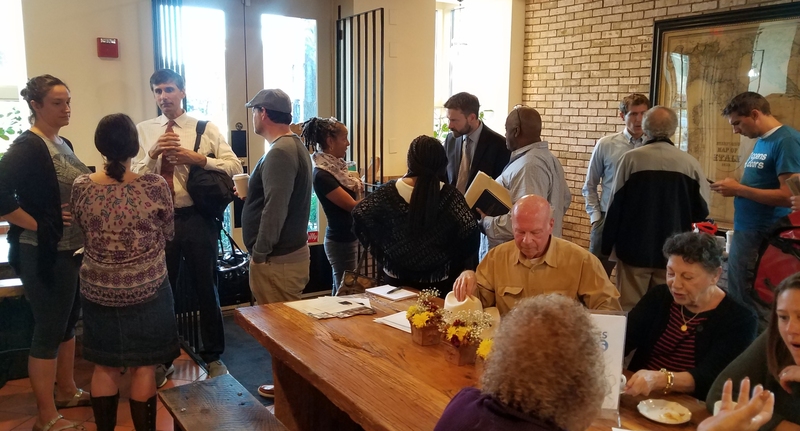 This is what CM Charles Allen’s community office hours at Radici across from Eastern Market on Friday morning looked like. Click to enlarge. 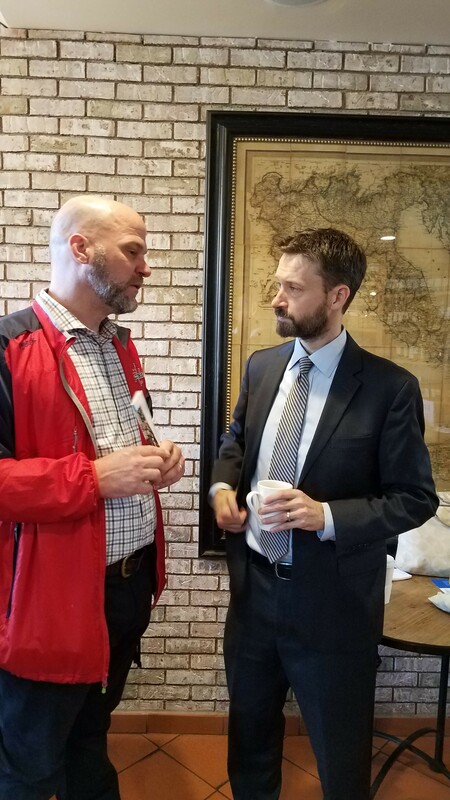 And Mike Soderman, Commissioner for ANC6A03 and Vice Chair of the Commission got some face time with Allen to talk about parking and transportation in ANC6A. The Week Ahead… and, so, what ‘s the problem with the axe throwing bar in SW? The week ahead has ANC6D discussing the $12,000 fine for the axe throwing bar “Kracken Axes” at Field House DC in SW. The outlet was fined in by city’s alcohol licensing board for violations including or connected to illegal sale of alcohol, no Certificate of occupancy, and interfering with an investigation – not that you would find those details in 6D’s agenda. 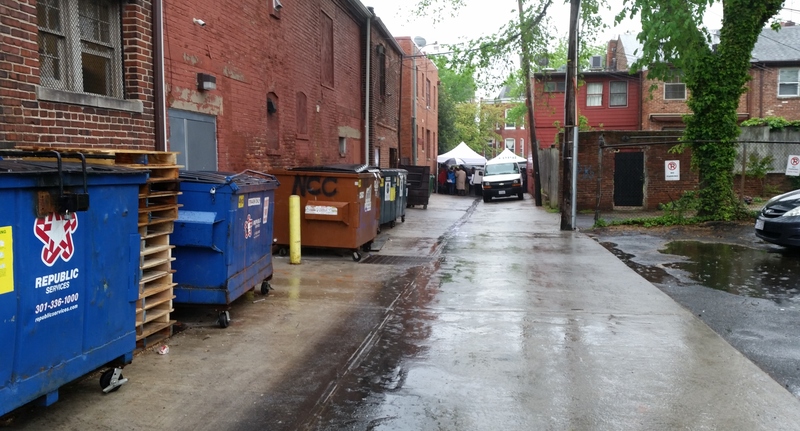 ANC6D continues to make its published agenda as non-transparent as possible, so it’s also hard to figure out what the liquor license issue with Circa at Navy Yard is all about – likewise with the several public space applications on their draft agenda. And 6D is also considering the renewal of a license to sell medical marijuana in 6D at an unnamed and unspecified location; how do they get away with that? ANC6A’s Transportation Committee will talk about requiring Rock N Roll race organizers to re-route the resident-vexing Marathon to lessen the impact on 6A’s neighborhood. Also, GoBus service from Eastern Market to NYC launches at 8:00am, Monday, from 8th and Pennsylvania Avenue, SE, at an introductory $9 one-way fare. Not sure how long that will last. ANC6A’s Alcohol beverage Committee is considering a new restaurant license for O2 (Oxygen, one gathers) at 1350-1352 H Street, NE. And ANC6A’s Economic and Development Committee meets on Wednesday, but hasn’t quite gotten around to posting the agenda by CHC’s press time. We’ll post it if and when. And, the Capitol Hill Restoration Society is sponsoring an exposition in the North Hall of Eastern Market on Sunday, the 21st, with 30 exhibitors to answer any question you have about interior or exterior improvements to your Capitol Hill home. By the way – the Friends of Southeast Library raised more than $1,700.00 for the Library at last Saturday’s book sale – and stay tuned for some upcoming info on the first community meeting late in the month on the renovation/rebuilding of Southeast Library. ANC6D meets at 7:00pm at 1100 4th Street, SW, in the 2nd floor conference room. Public Safety Report- First District MPD (PSA 105 & PSA 106) Capt. Pulliam, Lt. Queen. Presentation: Council Bills on Food Trucks and Waterfront Park – Chris Laskowski. Presentation: Southwest Community Center Update – Andrea Gilliam. 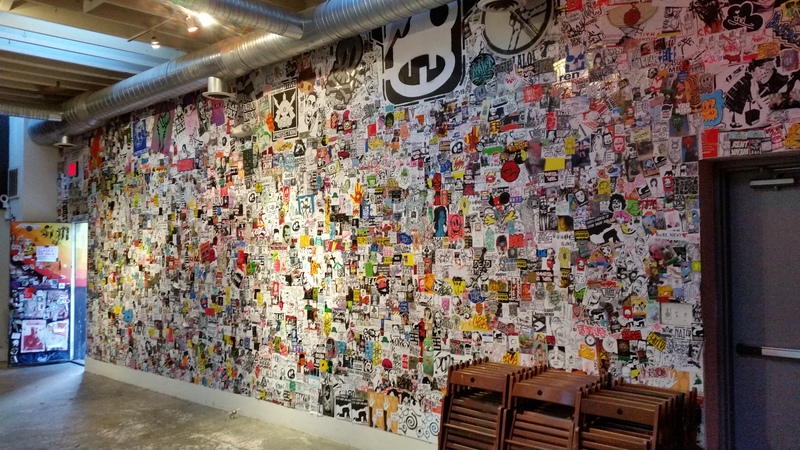 Informational discussion: Field House DC. ABC Board Consent Order 9/26/18 on “Kraken Axes’” $12,000 fine. Circa at Navy Yard/El Bebe, 99 M Street, SE – unspecified alcohol beverage license issue. “Conditional vote” scheduled. 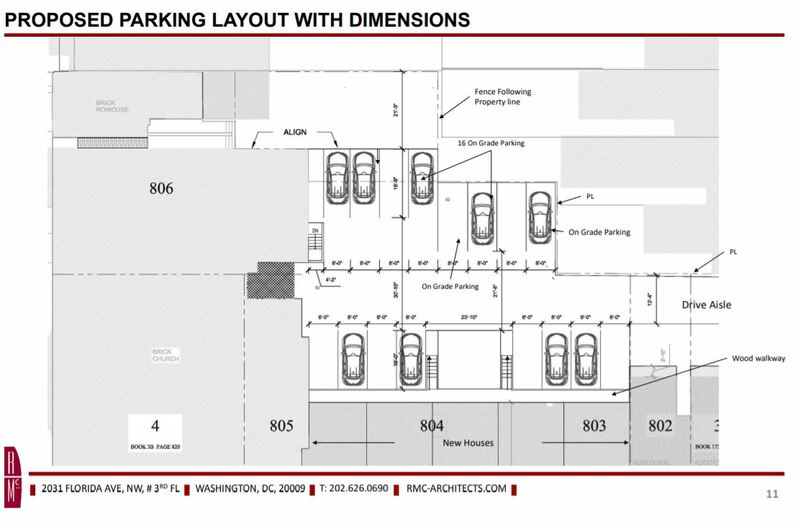 10 I Street, SE, (Splash Car Wash Site) – Zoning Adjustment for Area Variance for Self-Storage. DCHA Text Amendment Regarding a 5 Year Extension for the Capper Parking Lots – Squares 767, 768, 8825. 1000 First Street, SE, Paradigm Companies. – Public Space Application. 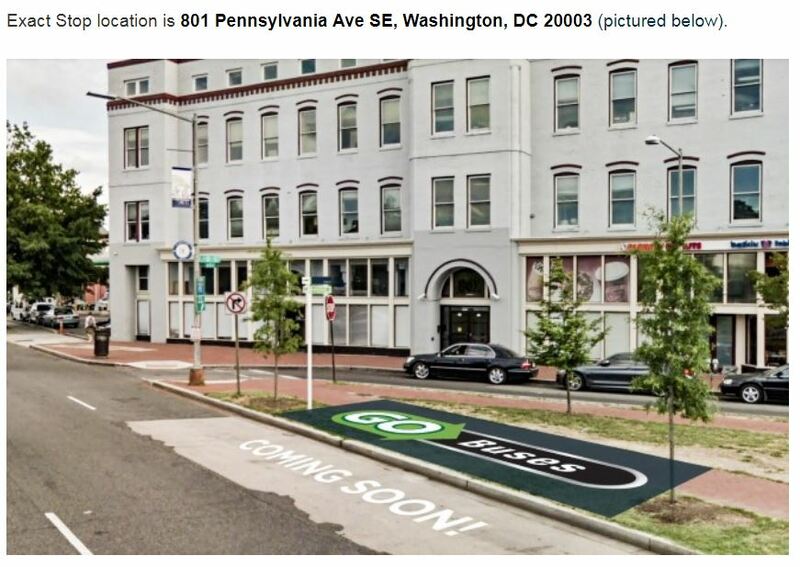 Letter to DCRA RE Grosvenor Application for Digital Signage at First Street and N Street, SE. Letter to DOH RE Medical Marijuana Facility Renewal Application. ANC6A Transportation Committee and Public Space Committee meets at 7:00pm, Capitol Hill Towers, 900 G Street, NE. Continuation of discussion with Rock N Roll Marathon representatives and MPD Special Operations Unit regarding the 2019 marathon course in Ward 6, especially ANC 6A. 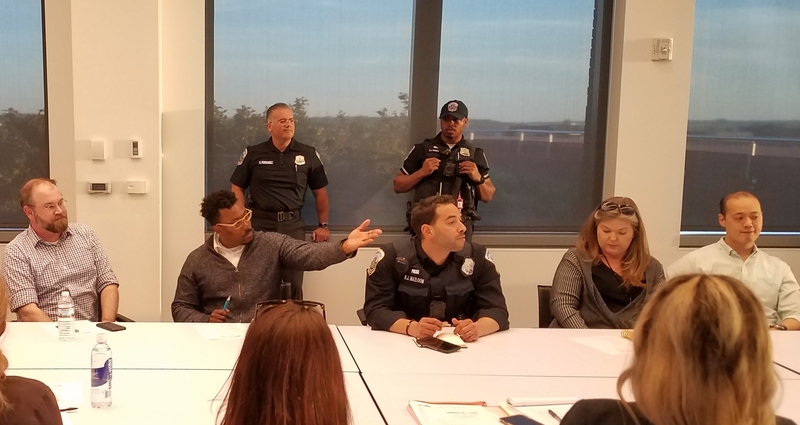 At the September TPS meeting, event organizers were advised to return with proposed route changes that would lessen the impact on Ward 6 residents, particularly those in 6A. Discussion of K Street, NE, Corridor Study with DDOT’s Emily Dalphy. 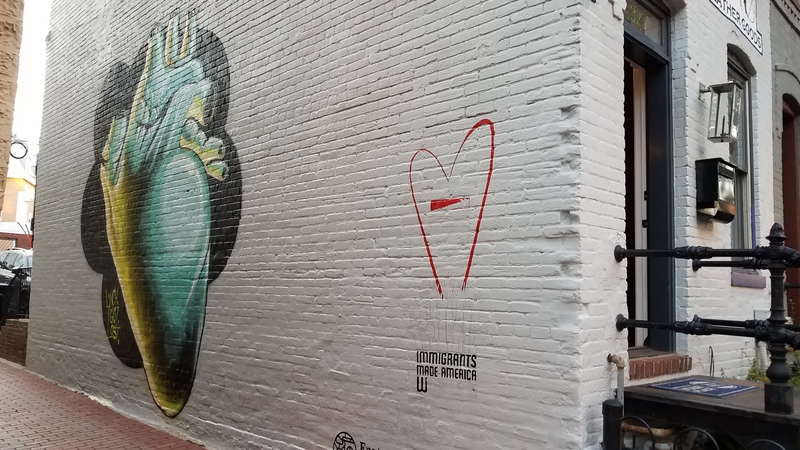 Discussion of Capitol Hill Pedestrian Safety – report from Hill is Home, with Caitlin Roggers. GoBus inaugurates round trip service to NYC at 8:00am at 8th and Pennsylvania Avenue, SE corner. ANC6A Alcoholic Beverage Licensing Committee meets at 7:00pm at Sherwood Recreation Center, 10th and G Streets, NE. Discussion of request by Dangerously Delicious Pies at 1339 H Street, NE, for an extension of its second floor summer garden hours. Discussion of new restaurant alcohol beverage license application for O2, at 1350-1352 H Street, NE. CHRS Board of Directors meets at 7:00pm, in Capitol Hill Townhomes, 750 6th Street, SE, 2nd Floor. ANC6A Economic Development & Zoning Committee is scheduled to meet at 7:00pm, at Sherwood Recreation Center, 10th and G Street, NE. (Agenda not available at press time). 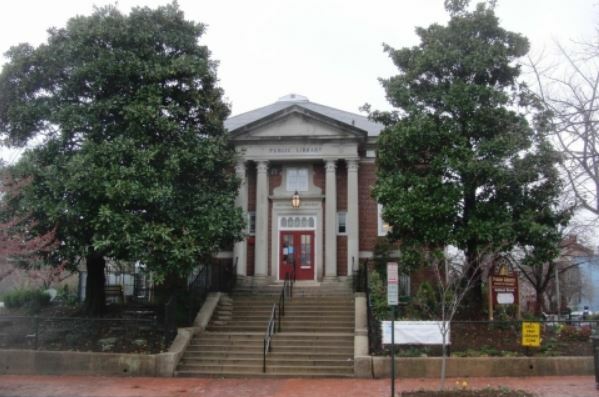 Capitol Hill Restoration Café: “Curb Appeal: How to Preserve a Rowhouse Façade.´ Northeast Library, 330 7th Street, NE, lower level. CHRS House Expo, 10 am to 4 pm, Eastern Market North Hall, featuring over 30 home service exhibitors: roofing, ironwork, windows, home elevator, and more. Free. Comments Off on The Week Ahead… and, so, what ‘s the problem with that axe throwing bar in SW? 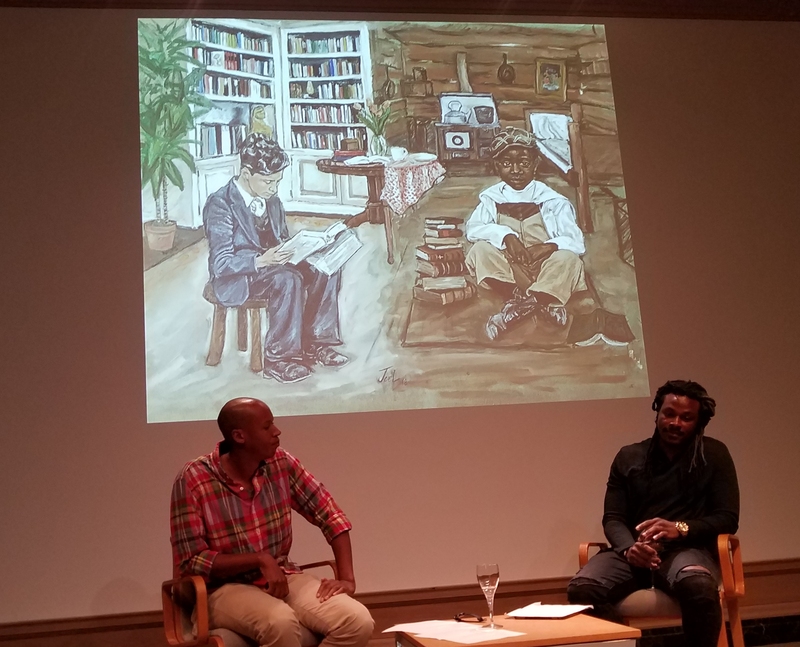 Projected behind the principals is a painting from the “Heirs” series. 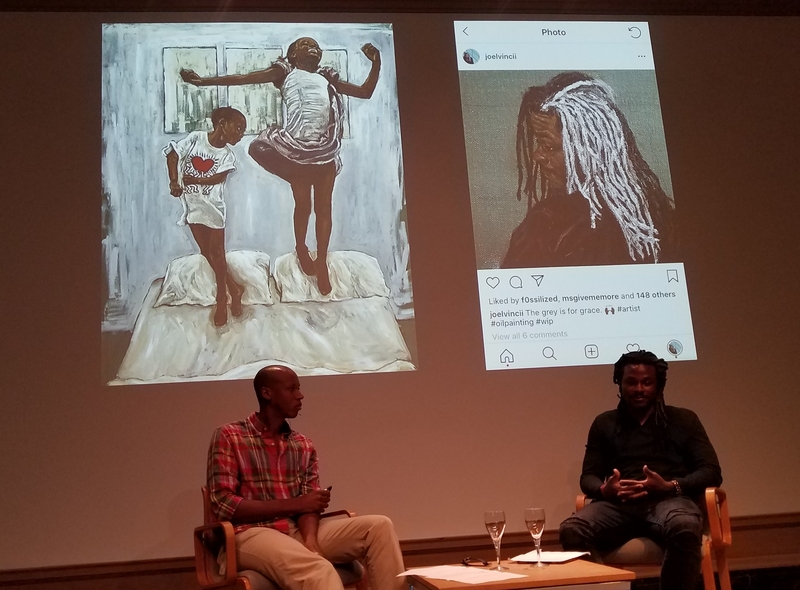 On the left, clearly one of the artist’s favorite paintings, “Upper Room” – on the right, a self portrait. Joelvincii’s works, currently on view at The Fridge through October 28, attempt to answer the question the artist asks himself, “What is my identity and where did I come from?” He told a crowd at an artist’s talk at the National Gallery of Art on October 1, that his work is a “summary of my understanding of history.” And he sees that history as a process of evolution – a series of adaptations of people to their environment. 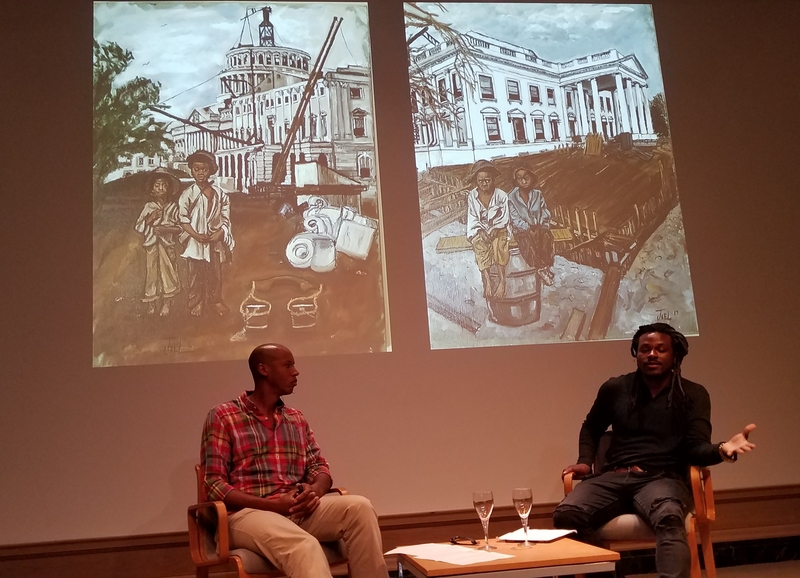 The 27 paintings in the exhibit at the Fridge explore the identity from the viewpoint of an African American man who was raised in Southeast DC who attended high school in an affluent Northwest neighborhood. The exhibit is on view through October 28. Saturday, October 13, The Gallery will be open special hours – 10:00am – 6:00pm. 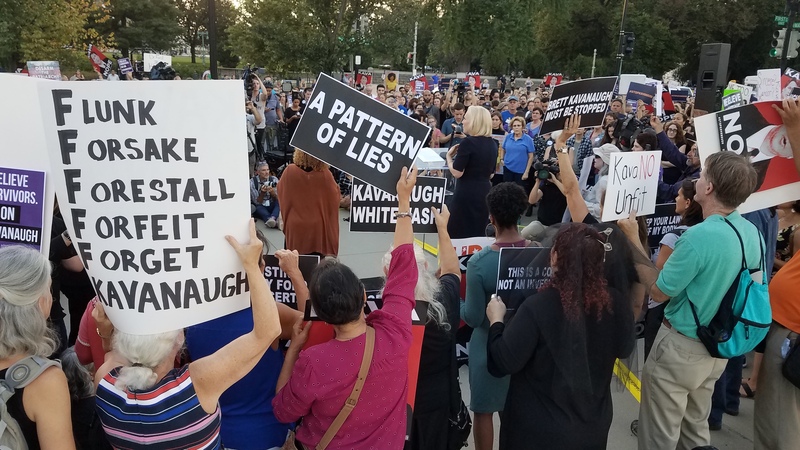 In recent days, coverage of community issues has taken a back seat to legacy media coverage of the Kavanaugh nomination. Local issues seem pale in comparison to the story unfolding on the national level – trivial in comparison. Many of us have recoiled and withdrawn from news reports and social media. Yet, we must inevitably return to the community and to the issues we deal with on a daily basis. Rather than paragraphs of text, CHC offers a series of photos concerning events of the past two days which it believes the community should know about. 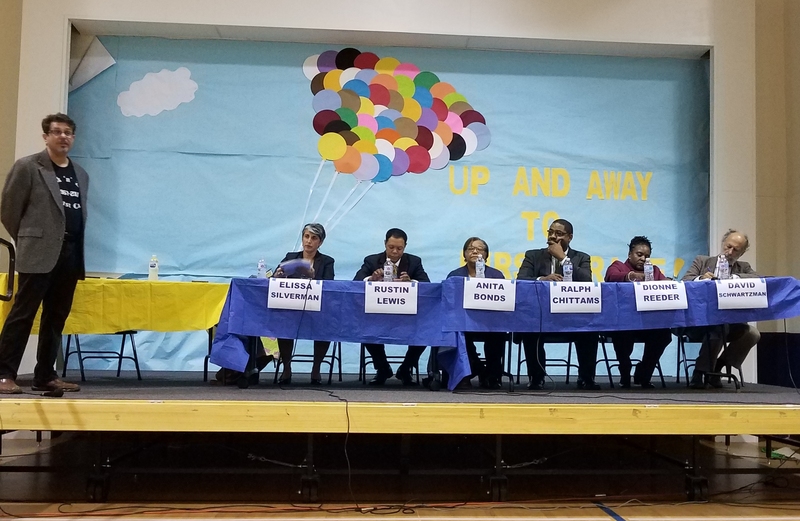 Wednesday night, candidates for DC City Council Members at Large debated at Chanberlain School. D.C. Mayor Muriel E. Bowser (D) is backing Dionne Bussey-Reeder in her bid to unseat council member Elissa Silverman (I-At Large). The fortuitous seating of Silverman against a school backdrop may indicate how that’s going for Bowser’s candidate. Late in the program, Mayor Bowser, wearing a Reeder campaign pin, made a surprise appearance, according to Twitter reports. Andrew Lightman, Editor of The Hill Rag, (at left) moderated. Click to enlarge. 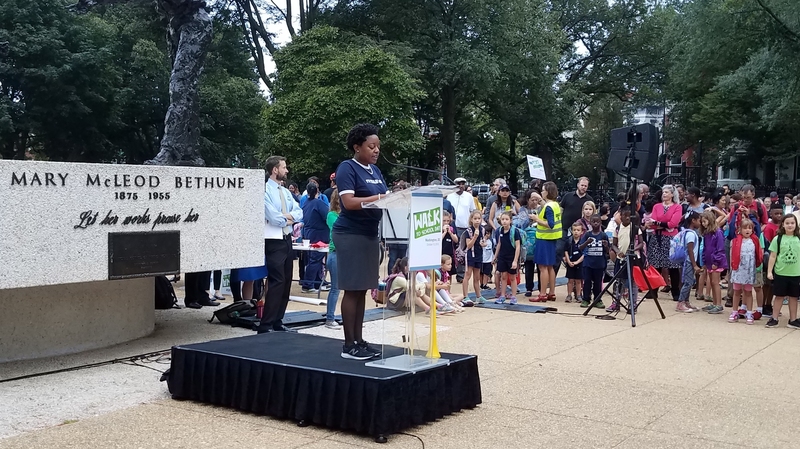 Seventeen Capitol Hill schools rallied in Lincoln Park Wednesday morning, participating in the 18th year of Walk-to-School Day. 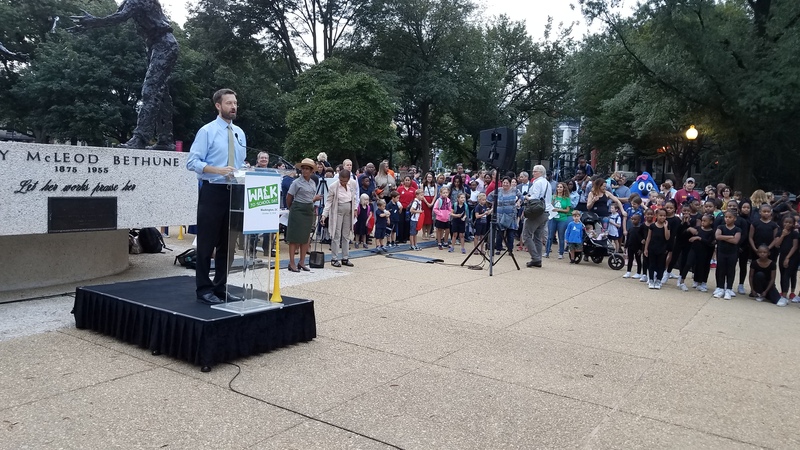 Among the participants: Representatives Eleanor Holmes Norton, Council members Allen and Silverman, and interim DC Public Schools Chancellor Alexander. Councilmember Charles Allen welcomes participants to Walk to School Day kickoff at Lincoln Park. DC Congressional Representative Eleanor Holmes Norton addresses the Walk to School Day crowd. CM Charles Allen is at left. 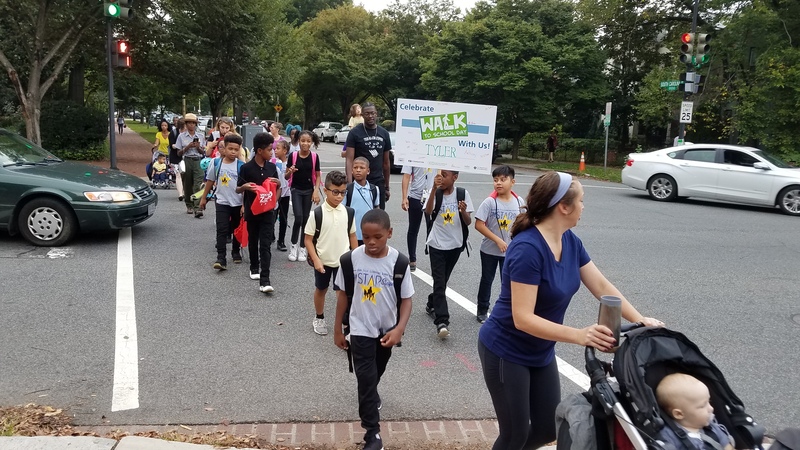 Interim DC Public Schools Chancellor Alexander chose Lincoln Park to participate in Walk to School Day over numerous other sites in the city. Parents – students – teachers walked to school. The aftermath: The Tyler contingent, on the march. ANC6B met on Tuesday night for its regular October meeting in Hill Center. ANC6B endorsed the renewal of Metropolitan Wellness Center’s license to sell medical marijuana on Barracks Row. The outlet is one of five in the city; Vanessa West, General Manager of the operation told the ANC that the Wellness Center averages 100 patients a day with the average patient being over 45. The ANC supported a motion to endorse the renewal by a vote of 10 – 0. Metropolitan Wellness Center opened on Barracks Row five years ago. 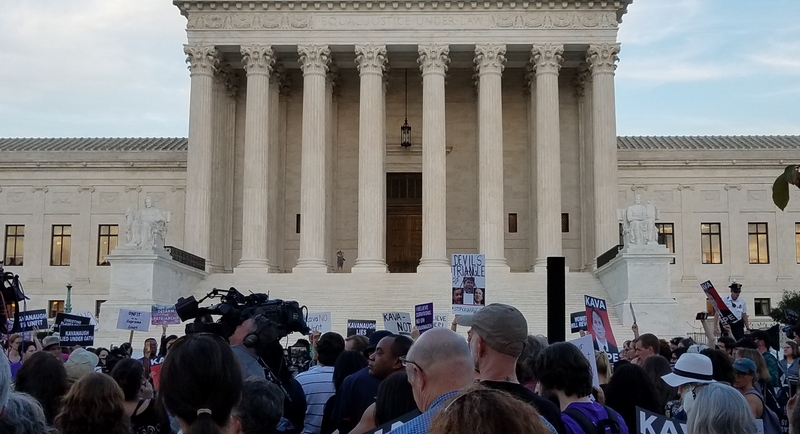 This was the scene in front of the Supreme Court on Saturday, October 6 at circa 3:15pm. About 30 minutes later, the U.S. Senate began a roll call vote on the nomination of Judge Brett Kavanaugh to be a member of the Court. The nomination was approved by a vote of 50 – 48 – the narrowest margin since 1881 for confirmation to the Supreme Court. Click to enlarge. In this instance, click twice. Columbus Day. Holiday observed by DC Department of Public Works. No trash pickup. ANC6B meets at 7:00pm, in Hill Center. DPW invited to discuss annual leaf collection and other issues. Possible update on retail in the Frager’s Development. Orchid, 520 8th Street, S.E. ; Senart’s, LLC; Alcohol beverage license. Substantial change application to change from a Class C restaurant license to a Tavern license. 710 E Street, SE, (deferred from September); Historic Preservation Application, concept/three-story rear addition. 1225-1227 Pennsylvania Avenue, SE; Historic Preservation Application, concept/one-story roof-top addition. 210 9th Street, SE; Historic Preservation Application, concept/rear addition. 210 9th Street, SE; Zoning Adjustment Application, Special exception to construct a two-story rear addition to an existing principal dwelling unit. 526-528 8th Street, SE, Zoning Adjustment Application; Special exception and variance relief to redevelop an existing surface parking lot with a three-story commercial building. 329 16th Street, SE; Zoning Adjustment Application; Special exception to construct a third-story and rear addition to a principal dwelling unit and convert the dwelling into a flat. 302 South Carolina Avenue, SE; Historic Preservation Application; concept/rooftop addition, rear porches. 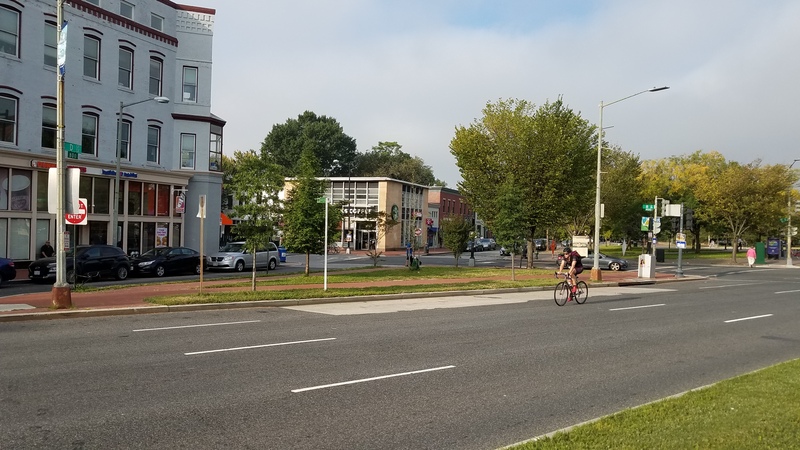 DDOT Public Space Application: Applicant by Academy Bus LLC, for 5 curbside spaces at 400 8th Street (actual location is on Pennsylvania Avenue, SE, in front of Community Connections), for use all hours on weekdays/weekends. Presentation: Sarah Fashbaugh, ABRA, license renewal information. Streets Market, 51 M Street, NE, new alcohol beverage license application, Class B and CR, full grocery store and restaurant. Buffalo and Bergen, 240 Massachusetts Avenue, NE, new alcohol beverage license application, Class C tavern. Fancy Radish, 600 H Street, NE; Public Space Application for an unenclosed sidewalk café. Buffalo and Bergen, 240 Massachusetts Avenue, NE, Public Space Application for an unenclosed sidewalk café. 912 5th Street, NE, Zoning Adjustment Application; Amended application for a special exception from lot Occupancy requirements to build a two-story structure with garage. Appeal of Station Townhouses LLC, 701 2nd Street NE, BZA 19861—Discussion of ANC6C participation in appeal from Zoning Administrator’s Certificate of Occupancy revocation. DC Council At-Large Candidates Debate, 7:00pm – 9:00pm, Hill Center, 921 Pennsylvania Avenue, SE. Chamberlain Elementary at 1345 Potomac Ave. SE. Anita Bonds, Raiph J. Chittams Sr, Denise Hicks, Rustin M. Lewis, Dionne Reeder, David Schwartzman and Elissa Silverman. Andrew Lightman will moderate. The debates are sponsored by the Hill Rag, Ward 6 Democrats, Hill Center, and DC GOP. Hosts include CHRS, CHAMPS, PAVE, and the CH Public School Parent Organization. ANC6A meets at 7:00pm, Miner Elementary, 601 Fifteenth Street, NE. Presentation: Nathan Morris, Coordinator, Facility Planning and Design, DCPS – Maury Elementary School Modernization Timeline, Contractor Parking. Chris Laskowski, Legislative Policy Advisor, Office of Ward 6 Councilmember Allen – Daytime School Parking Zone Act. Discussion: Block Party Application and Requirements. Halftime Sports Bar, 1427 H Street, NE; Alcohol Beverage Application for changes to its license (adding cover charge endorsement, 39-seat summer garden, and overall expansion of seating capacity). Letter to the DC Council in support of Councilmember Charles Allen’s legislation (B22-0351), as amended, that would create a School Parking Zone Program. 824 13th Street, NE; Zoning Adjustment Application for a special exception to construct a new flat at said address. 16 10th Street, NE; Zoning Adjustment Application and Historic Preservation Application for construction of a rooftop penthouse on a row house at said address. 1661 Gales Street, NE; Zoning Adjustment Application to subdivide three existing lots into two lots. Ward Six Councilmember Candidate Debate at 7:00pm at Hill Center, 921 Pennsylvania Avenue, SE. Candidates. Charles Allen, Democrat; and Michael Bekesha, Republican. Andrew Lightman will moderate. The debates are sponsored by the Hill Rag, Ward 6 Democrats, Hill Center, and DC GOP. Hosts include CHRS, CHAMPS, PAVE, and the CH Public School Parent Organization. This concrete pad on Pennsylvania Avenue marks the proposed pickup/drop off location for the GoBus service to NYC. The Barracks Row Starbucks is in the background. Click to enlarge. 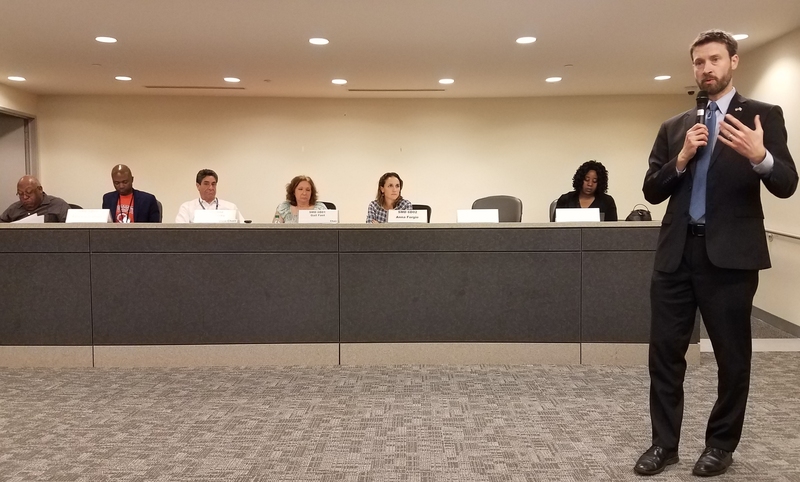 Wednesday night, Commissioner Kirsten Oldenburg’s ANC6B Transportation Committee voted to support a public space application for use of space on Pennsylvania Avenue near 8th Street for a pickup/drop-off location for their service to New York City. 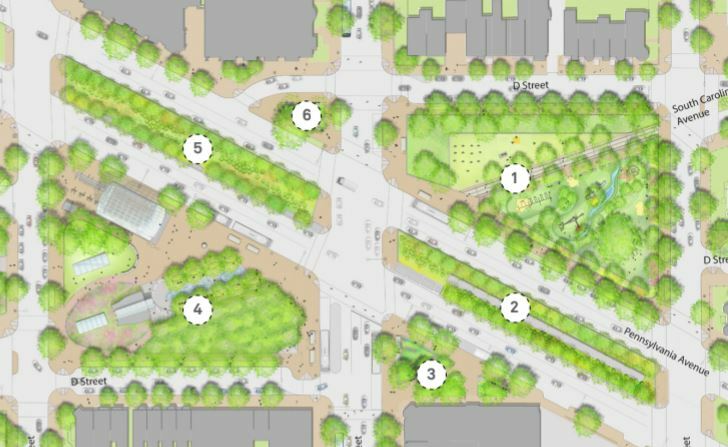 The issue will go to the full ANC next Tuesday, where it is expected to receive the support of the Commission before forwarding to the DC Department of Transportation Public Space Committee. Company representatives say the service could start in “a couple of weeks “if DDOT grants us a temporary permit”. The stop will be the final pickup point before getting on 295 for the four hour trip to the 30th Street and 9th Avenue stop in Manhattan, on a route that starts in Capitol Heights with stops in Alexandria and L’Enfant Plaza. Company reps say buses will stop for about ten minutes at the site. There was one photographer of the rally who had a privileged vantage point under the portico. (Click to enlarge) He doesn’t look like security – probably a Supreme Court official photographer – they have a division that gets a prime position to photograph the Inaugural Ceremony.